The end result of Otter House is much different than the original plan which was to build an off-grid tiny home on a parcel of land in the county. That route ended up going awry and plans were modified to create a tiny house built atop a pontoon boat platform. Numerous clam shells were found on that platform, and it almost seemed a hangout for otters, so the name stuck. 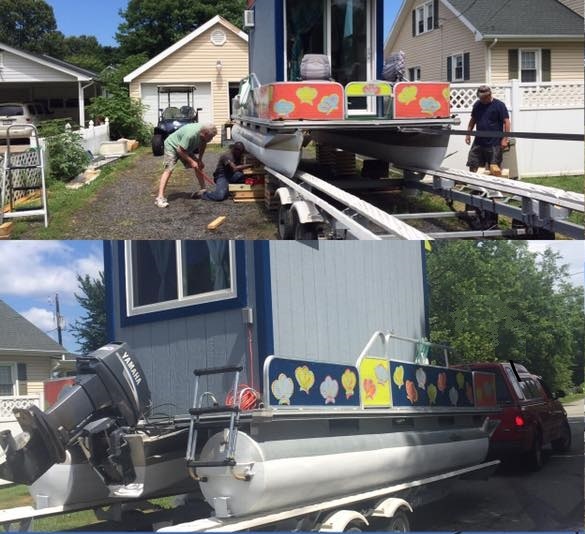 The 20' pontoon platform was purchased, power washed and parked in the driveway of one Robin Mae Schick, owner of RMS Design who also assists at the family's marina and played a big part in the creation of a large-scale mural on the Boardwalk in town. I have a very big thank you to send out to many friends here in Colonial Beach! 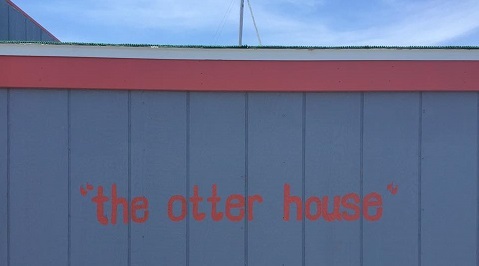 Yesterday marked the splash date of a very special project called The Otter House. 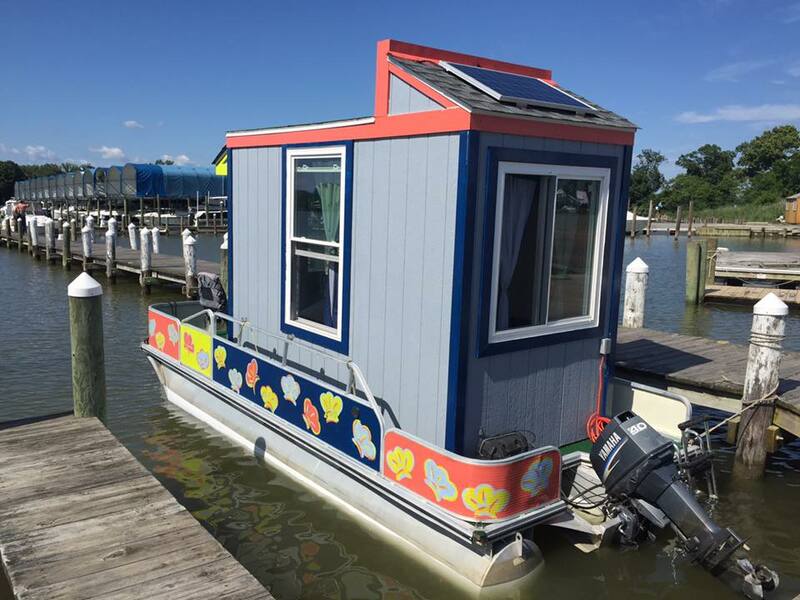 She is a 5' 1" X 11' 6" tiny house on a 20' pontoon that I've been working on for the last 2 monthes in my driveway. I'm proud to say she floats and drives beautifully and the Parade we led through town with the help of the Colonial Beach Police Department was the best boat launch I've ever experienced. The Otter House is equipped with LED lighting, stereo, WiFi Television and phone charger all run by Solar Power. 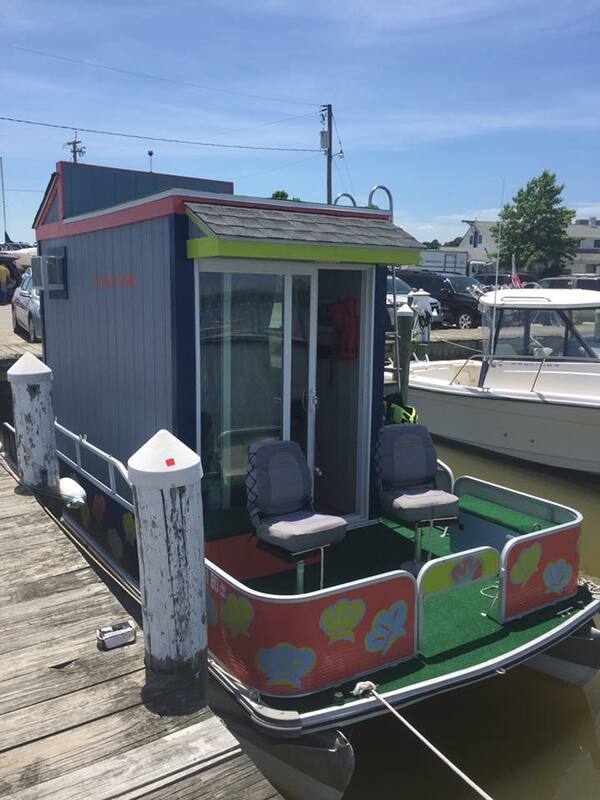 She even has a high efficiency AC unit for those hot days at the dock. The couch folds into a bed and the color changing LEDs make it a pretty happening place to be at night. This boat was a small dream of mine that has turned into a community project and Dwight Street spectacle. You can now go see her down at Colonial Beach Yacht Center on E dock for all those golf carters that would drive by and wonder where it's gone to. The best ideas are the crazy ones. 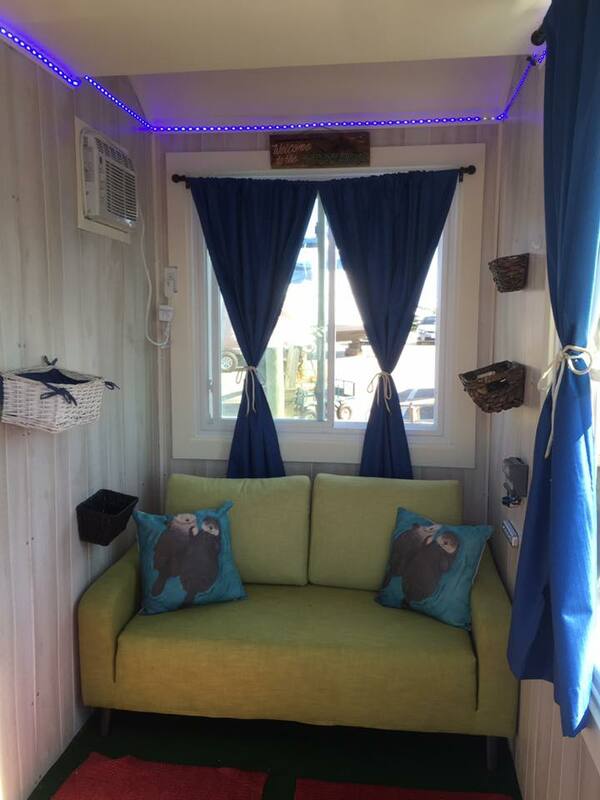 The interior is adorable, complete with otter artwork and pillows featuring the little critters. 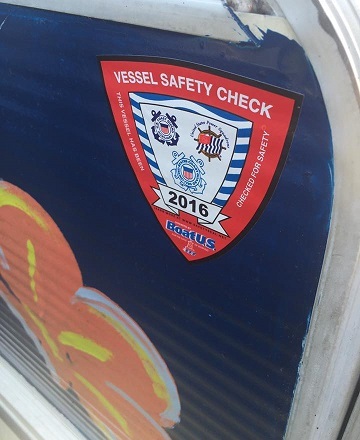 She passed her Vessel Safety Check with flying colors. Powered by a single outboard motor, the vessel has been able to travel about Monroe Bay and the Potomac River with ease. The maiden voyage as well as a subsequent outing were successful. There's a cool little back deck perfect for enjoying sunsets in the evening. For a different view, you can simply climb the ladder to the roof deck. On June 24, Robin heard from personnel from a major network's tiny house program. Hopefully they will come to town and video the Otter House for a future episode of their show! In the meantime, you can rent this fun little accommodation through AirBnB.com.